Can Portland play solid defense for an entire season? 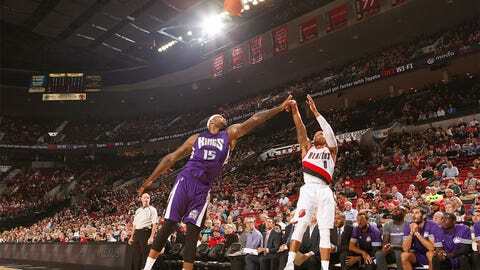 Portland's defense is a huge question mark. The Portland Trail Blazers have a bunch of questions entering the 2015-16 season. Arguably the biggest one is do they have enough talent to stop opponents on a nightly basis? Portland has athletes, but they have little experience meshing with one another, and, pertaining to NBA defense, even more important than physical ability are intelligence and chemistry. Can the Trail Blazers communicate well enough—and know where to be—to stop the league's most complex attacks? It's something we'll all find the answer to in no time. Toward the end of last season, Lillard supplanted Houston’s James Harden as the player in the league most derided for his defense. McCollum, almost identical in size with a longer wingspan, has plenty of doubts surrounding him at the shooting guard spot. Can their youth translate to an improved version of their defense, or will they disappoint defensively as young teams often do?